It’s already the sixth time that “Bridge of Hope”, a member organization of the Caucasus Network for Children (CNC), organized an event jointly with the international organization “Mission East”, based on the financial backup of the Ministry of Foreign Affairs of Denmark. The goal of the tournament was to draw the society’s attention to the concept of creating full social inclusion and equal opportunities for persons with disabilities. 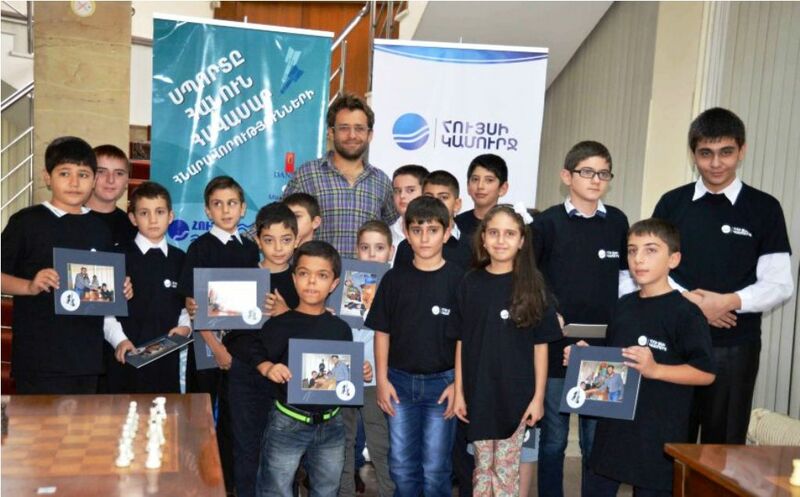 This time 20 pupils from Yerevan inclusive schools competed with Levon Aronyan. Each child collected vivid memories from the game with the Grand master and also a joint photograph with the competitor’s signature. “We must speak about the rights of persons with disabilities. If we are able in a small way to do something which will make the life of children with disabilities better, then we must do it, it is our duty. I quite enjoy such tournaments,” noted Grand master Aronyan. Levon Aronyan played with persons with disabilities, reporters, public figures and chess-lovers during 6 years, thus, spreading the idea of inclusion.